Just a quick note to let you know that I got a jQuery-based image carousel working on the Nicknames & Numbers demo site, but not before spending hours and hours wondering why it was not working! Follow the instructions in the Quick Help section by all means. However, I found “Publish to folder” as the best publishing method. Once your item has been published, amend the HEAD information in the “index.html” file so that it specifies the actual location of your hosted image files, before pasting it into the HEAD section of the page you want the carousel on. You might have to test this a few times to get it right (I did!). 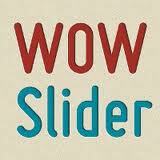 Paste the Wow Slider BODY information where in your page you need it to go. I couldn’t publish straight to FTP, and using “Insert to page” was inaccurate. Before I could truly celebrate, my carousel might have been working beautifully, but my dropdown menu was falling behind my carousel instead of over it! To get around this, you may need to adjust the z-index values in either the “style.css” Wow Slider file or your site’s .css file. I reduced the z-index value in style.css to 99 and in my css to 999; however, that only worked in Firefox. To get it working in Firefox, IE, Safari and Chrome I had to leave the style.css z-index value at 100, and adjust the z-index values in my css to 200. If you’ve solved any Wow Slider issues, leave a comment; you never know when somebody else might need and value the tip! Best wishes and regards, Belinda.